The 2019 Schedule is a work in progress. Check back soon for final details. 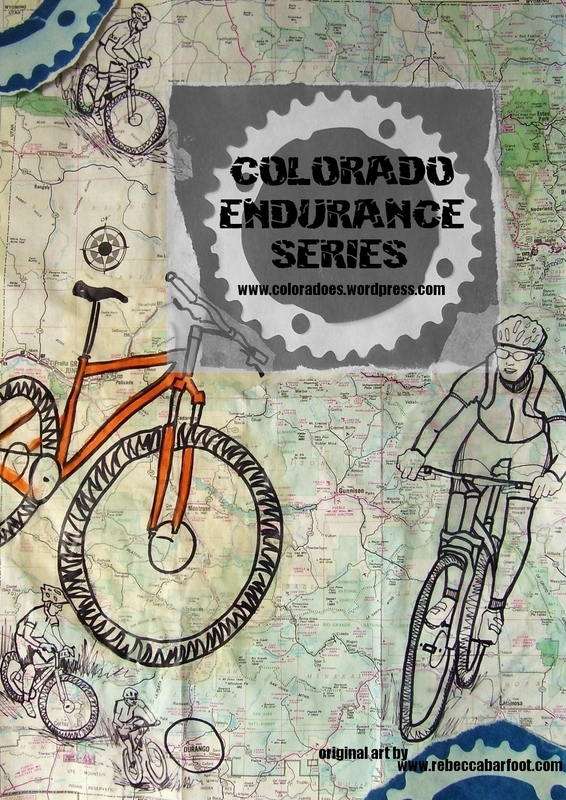 In the tradition of the Southwest Endurance Series (SWES), we present to you, the Colorado Endurance Series – a collection of the finest, self-supported, backcountry mountain bike endurance (solo effort) rides in Colorado! We are the home of ultra-endurance mountain biking. These are intended to be NON-COMMERCIAL, Recreational-Use Activities that are held on parts of USFS lands and every attempt is to be in compliance with USFS Special Use Rules and Regulations. Dirty Double Fondo -200k, ? ?May 17, 2019?? Colorado Trail Classic (CTC): TBD ? ?August 17, 2019?? Ring the Peak (RTP): TBD ? ?August 31, 2019?? Cougar Slayer (NED): TBD ? ?September 6, 2019? We have partnered with local parties to develop events in Colorado and support the regional SWES. There are no fees, no prizes, but all attempts will be made to record your finish time in comparison to others (please cooperate here!). In addition your mileage and time will need to be kept and reported by you as a way to make sure you followed the route as much as reasonably possible. The goal is to finish these challenges and you set your own pace. A start time and route is provided here and it is up to the participant to understand the route and also have full responsibility for their navigation and well being. These are not group rides – they are solo efforts, although some people might do these as rides with friends or even other riders they meet at the start, along the route, or even before hand through the use of the SWES Email list. Since the events are grassroots and will take participants to very rugged and remote places around the south-west, it should be understood that these are for experienced backcountry cyclists only. If you question your ability to complete such an event, it is best that you consider another option before trying one of these. Also, maps, gps devices, water filtration units, and other back country tools are a must. Failure to bring along any of these might very well get you into trouble. Therefore it is up to you – and you alone – to ensure your safety!! The goal of the Colorado Endurance Series is to promote responsible grassroots endurance cycling in and around the south-west, and to provide a competitive outlet for the region’s current endurance racers – most of whom currently travel extensively in order to find competition. The Colorado Endurance Series will help train current endurance riders and perhaps enhance success by south-west endurance riders in national events. So if you have interest, come on out and join us, and do your part to contribute to this grassroots effort! How can you do your part – you ask? Well since these are all volunteer efforts – if you wish to improve upon the events or series, please step forward and do so! It’s that simple and much better than complaining. Also, if you wish to host an event please contact the Colorado Endurance Series Coordinator and we will add your event to the website. We are always looking for new and exciting routes to add to our existing Colorado Endurance Series events. Look for more information to come as the events occur, and feel freely to comment and provide constructive feedback.